Optimize closet space and organize your cabling system with any of OCC's horizontal cable managers. 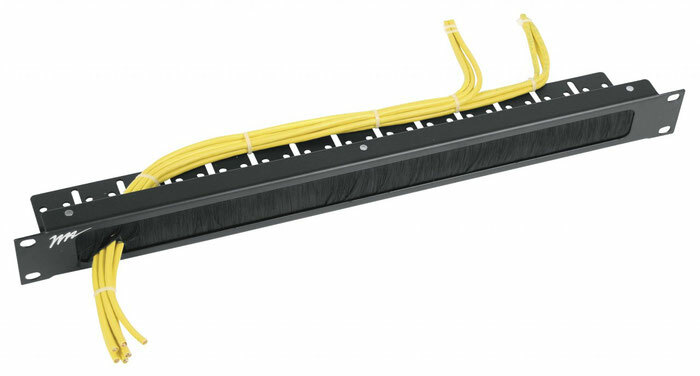 This complete line of horizontal cable management provides a versatile selection for maintaining cable runs and preserving connectivity components' lifespan. High Density Cable Management Bar. 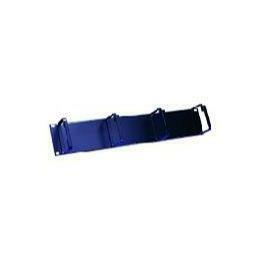 Attaches to rack. Leviton has a wide offering of cable management solutions for both copper and fiber installations. Products include vertical and horizontal cable managers, rear cable managers, VELCRO brand fasteners, zone and wireless enclosures, and the comprehensive Fiber Raceway System. Vertical Transition Ring (Horizontal Cable Ring), 2/box Leviton has a wide offering of cable management solutions for both copper and fiber installations. Products include vertical and horizontal cable managers, rear cable managers, VELCRO brand fasteners, zone and wireless enclosures, and the comprehensive Fiber Raceway System. Recessed Angled Transitional Cover, 1RU Leviton has a wide offering of cable management solutions for both copper and fiber installations. Products include vertical and horizontal cable managers, rear cable managers, VELCRO brand fasteners, zone and wireless enclosures, and the comprehensive Fiber Raceway System. This cable manager features heavy-duty end posts, arrowhead fingers and tool-less mounting to easily route Cat 5e, 6 and 6A cable horizontally in standard 19-in. cabinets or on 2- or 4-post open frame racks. 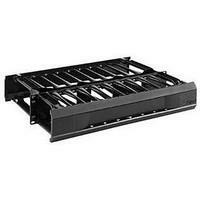 2 Rack Units. 3.50 inch.